KCET 2019 Cut Off is the minimum marks which consider for providing admission to the colleges of Karnataka. 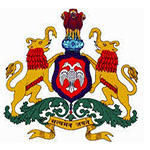 Karnataka Common Entrance Test (KCET) is conducted by the Karnataka Examination Authority (KEA). This entrance test is organized for providing admission to engineering, pharmacy & other courses offered by the colleges situated in Karnataka state. In this article, we are providing detailed information about Karnataka CET cut off 2019. KCET 2019 Cut Off will include opening and closing rank for different branches offered by the various colleges of Karnataka. The cut off will be released after the completion of all rounds of counselling. Through cut off marks, students can know whether they will be eligible for admission in colleges of Karnataka state or not. The cut off marks for all the participating colleges of KCET are different for various disciplines of engineering. KCET 2019 Answer Key is available through online mode only. Candidates can get both answer keys on April 2019. KCET 2019 Result will be declared on June 2019. It will be announced through online mode. Candidates can view it by entering their registration number. KCET 2019 Counselling will be commenced from June 2019. Candidates will be shortlisted and called for the counselling process on the basis of the prepared merit list. Candidates performance in Physics, Chemistry and Mathematics subjects in both the qualifying examination & the Karnataka CET examination. The cutoff for the institution, courses & category wise will be displayed on the screen in a pdf format. For any queries regarding KCET 2019 Cut Off, students may leave their comments in the comment box. Cut off of KCET 2019 plz. Let me know If it released. The details of KCET 2019 cut off is provided in the article. My kcet rank is 28072 . Can i get seat in government college? Hi sir/mam,I have got 79689 rank in kcet 2018 in engineering ,my aim is to do CSE, could you please tell me might I eligible in top colleges in Karnataka, would I’m eligible to that course.please answer me. I got 31400 in agri ranking did i get B Sc forestry seat? Hello…Can anyone tell me how KCET/KEA calculates the ranking for NATA students. I scored 95.5 in NATA and been registered with KEA/KCET… In 12th board my percentage is 86%…Will I be eligible for Architecture seat in Karnataka. I have got 64512 CETRank under veterinary course. I haven’t attended practical exam. I comes under SC category &eligible under Hyderabad – karnataka quota. Is it possible to get admission to the veterinary or agriculture course. May change and it may remains same. Cut off is not released. i got 40000 in agri may i get agri seat? I am from st category.iam expecting 115 in PCB.will I get govt vet seat in Karnataka? i have got 113 marks in kcet 2018,will i can get a vetarnery seat. what is the cut off for 2018 cet?? Is appearing for kcet required for admission in bsc botany at karnatak university dharwad? Hello can anyone guide me regarding the date for application form for karnataka MBBS Seat.As I am able to see in the website that 20th June was the last date to apply. I am tensed here so please let me know is this true. If not then when they are releasing it. In KCET the counselling procedure is going on. cutoff marks for the year 2016.
sir for rural certificate, parisheelan pramana patra is important or not ? if it is not there then rural quote is not considered ? i want to do bsc in forestry but in the cet application form in the agriculture quota column there is ‘no’ given instead of’ yes’ because i didnt knew that yes should be given there, so is it possible to change that no into yes cause i really want to do forestry…. my wife is born and studied in karnataka almost 12 years, i was born in karnataka, whether my son is eligible for governement quota? Yes eligible. However, parents should produce their study certificate as a proof of studied for more than 7 years in Karnataka.